*When Republican House Speaker Paul Ryan ordered the TV cameras that supply C-SPAN’s feed shut off during the Democrats’ sit-in to demand votes on gun legislation, the network got around the chicanery by airing live social media feeds beamed directly from the sit-in participants. C-SPAN covers each session of the House and Senate using cameras stationed in the chambers and controlled by the government. The network, however, is independent and accepts no government money for the coverage, spokesman Howard Mortman said. 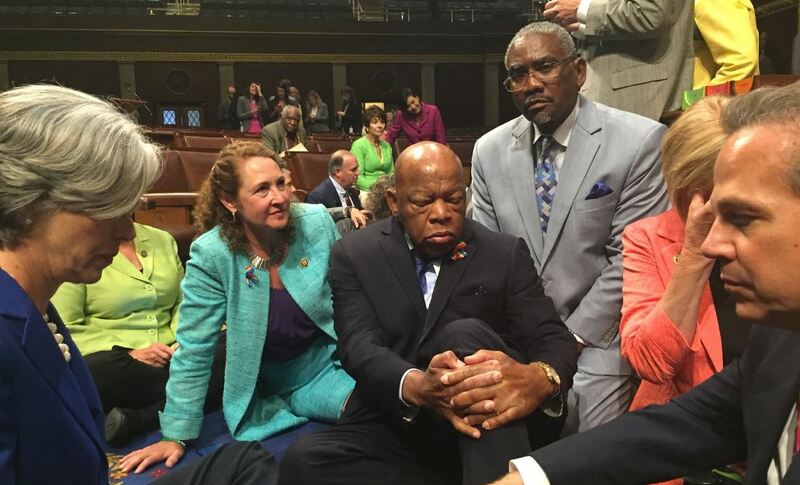 On Tuesday, C-SPAN aired the beginning of the sit-in with a speech by its ring leader Rep. John Lewis, D-Ga. (Scroll down to watch.) When it became clear that Democrats were actually going through with the sit-in, the Republicans in control ordered the House into recess and shut down the network’s cameras. That’s when two sit-in participants, Scott Peters of California and Beto O’Rourke of Texas, took to Periscope and Facebook. 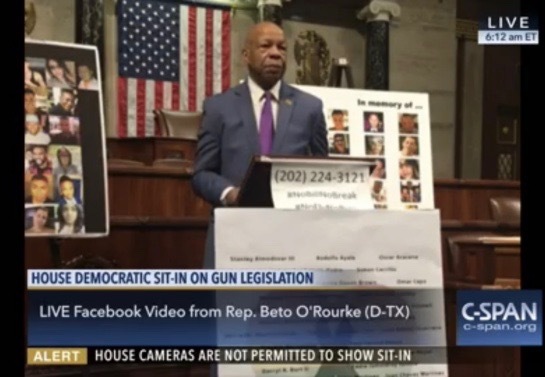 They began filming the sit-in for their respective social media pages and C-SPAN picked up those feeds to offer continuous coverage – which continues on today. “Our mission is to show what is happening in Congress and this is part and parcel of what is happening in Congress,” Mortman said. The social media footage was grainier than the typical feed and the Democrats were working without microphones. But as long as it is available, C-SPAN will air it, Mortman said. “Our plan is to cover this until they are finished,” he said.